Right at the end of last year, so weird to say still, I joined in on the awesome Bloggers Hangout Twitter Party. It was awesome and I ended up getting my hands on some amazing goodies as a result! With Christmas dominating the Post Office, it meant that my little bundles would arrive staggered throughout January. Boosting! 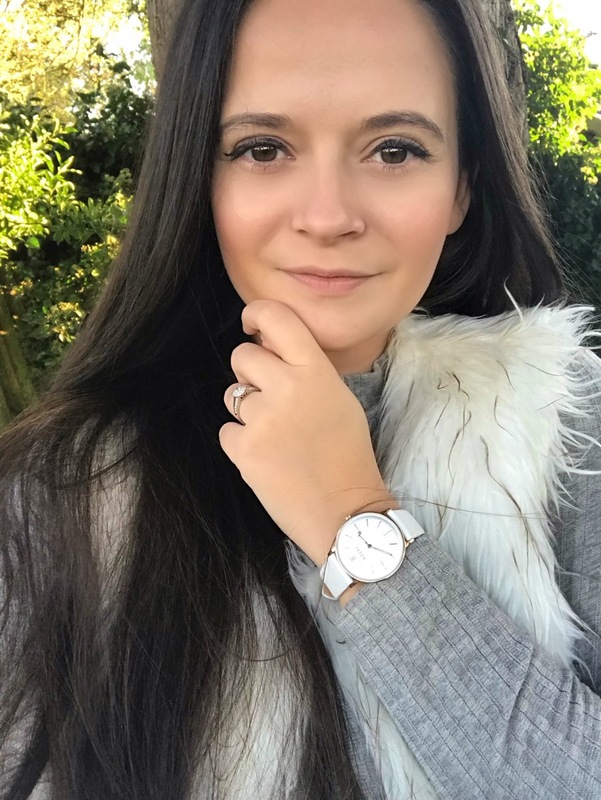 So, a little something happened to drop through my letter box this week and I’m sharing my first impressions with you – with a proper blog post to come once I’ve used the product on a regular basis. 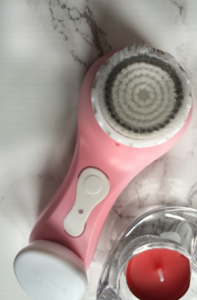 I am talking about the lovely pink hand held face wash from Magnitone! This is how it arrived! I mean, who wouldn’t be happy to get their hands on something that is delivered in pink perfection. 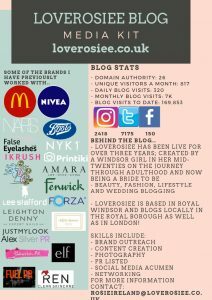 Love this extra little bit of effort – it goes a LONG WAY with me – brands take note! 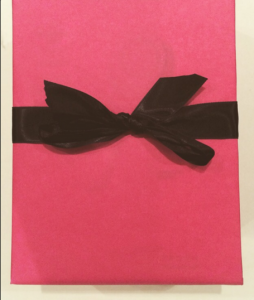 The product was hand wrapped in gorgeous pink crepe paper and tied with a luxurious black silk ribbon. Kinda matches my blog aesthetics – big win from me! I was able to opt for which colour I’d like to have for my own personal Magnitone and, of course I went for pink! This is the lovely box that it came in. I have to say it was quite heavy for the nifty little brush! Immediately, the product screams luxury and I couldn’t wait to unbox and use it! Once I opened the outer boxed layers I saw this little guide to what all the little buttons and gadgets do. This is great for me as I am so clueless about life and would probably end up breaking the product and still using it and being like “yeah it’s great”. I know, fail of a person! It has handy little tips and know how on what everything is – couldn’t be more helpful! My first impressions of this product all round are very positive! I have used the product only briefly once since it arrived at the end of this week. But I have designated a big chunk of my time today to pamper myself silly – wherein this gorgeous cleanser from Magnitone will take center stage! I will be doing a follow up post on how the product works and my thoughts on and a little review in the next couple of weeks – so keep yourself up to date! I can say that only having done minimal with the product already, I will very much enjoy it and all it has to bring to my beauty regime. The brush is so so so so soft, it’s like a little cloud of fluff and the movements seem fine! Can’t wait to get my Magnitone on! Wow really? That’s so good to hear!! I can’t wait to use mine properly and get the next post up!! 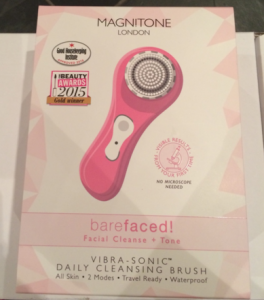 Ah I’m super jealous, I need to get my hands on a Magnitone – I just can’t quite handle the pricetag at the moment! It is a lot of money! I’m so lucky it was gifted! I’ll let you know how it goes!! 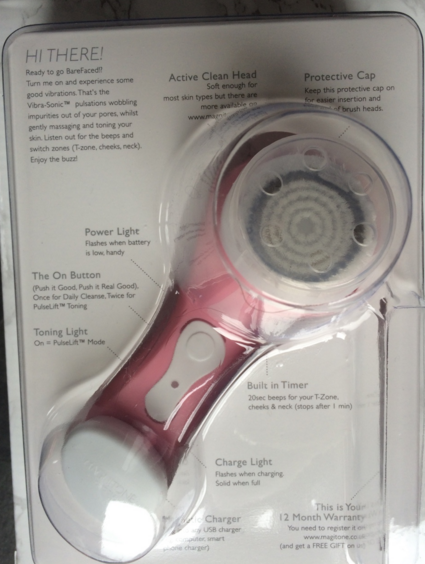 I picked up Ulta’s similar product that was much cheaper but does the same functions. It is very expensive, I agree. I think it is worth it but you can find cheaper options. Wicked glad you love it and it was a gift, though! Ooh is that a good one? The price tag is hefty but it’s so worth it!! Is that all you do it for?? I am loving mine so far! Nice replies in turn of the difficulty with real arguments and explaining everything concerning that. Amazing things here. I’m very happy to see your article. Thank you so much and I am looking forward to contact you.